Growing up I have tried many lip products and sadly only found a few that looks good me. Even now, I am afraid to try bright coloured lip product for my lips. Surprisingly, this year I have taken a risk and tried out this new "New Fresh Cherry Tint" from Two Face Mall. First of all, recently I came across an online Korean beauty product store, Two Face Mall. At the beginning, I wasn't too sure about the product however I did some research and even watched some youtube reviews. I was pleased with all the review I read and watched that I ended up get some product for myself. 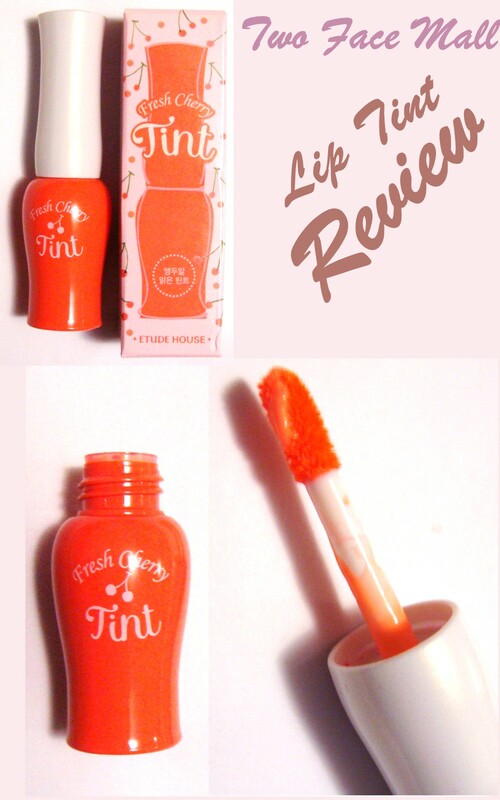 "New Fresh Cherry Tint in Peach"
It's extremely smooth and I love the colour. The tint looks stunning and it somehow brightens up my face. So far, I have received tons of compliments due to the tint and I would have never imagined myself ever wearing this particular peach colour tint on my lips. I don't know why I haven't ever gotten to courage to try out this particular colour in the past. Normally, I tend to sit on the peachy pink end of the spectrum. Peach colour tint is a bright orange red which looks absolutely stunning. I think it would look lovely on a night out to give a pop of colour to the face. Plus, it also makes me look younger (that's what my mom said). Furthermore, the best part is that it retails for $9 (that's awesome). "It's milky smooth texture in cherry tinted colors to accentuate lips with a naturally blushed and moist look." Two Face Mall customers have many benefits from purchasing from their shop! So have you ever try out any new colour tint for you lips? Well, rock on lovelies and good night!